I grew up in the Great White North — Canada, for the uninitiated — so for me a fir tree wrapped in bright lights and heavy with garland and baubles has always meant the imminent arrival of Santa Claus and napping on my grandmother’s shoulder through the Christmas Eve service. Since then, I’ve experienced many permutations of the holiday season. I won’t pretend I wasn’t startled to find chocolate in the toes of my shoes on 6 December in Germany, or utterly bewildered when a Catalan flatmate brought a personified log out into the kitchen then beat it with a stick while singing a children’s tune until it (I’m not kidding) excreted our gifts. I was first exposed to the idea of a “New Year’s tree” in Istanbul in 2014. 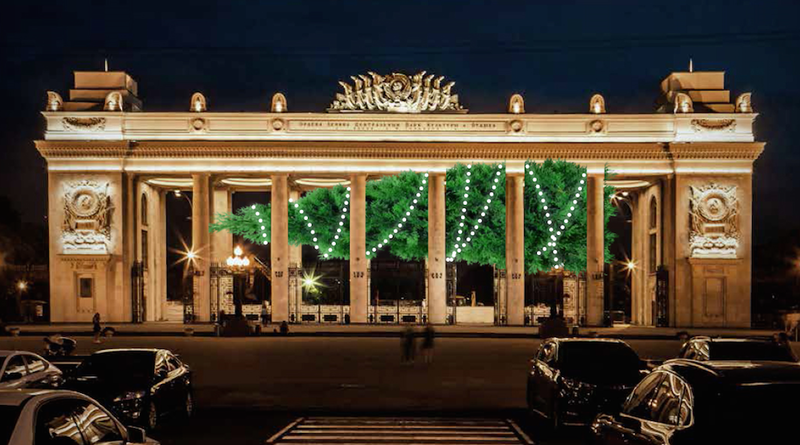 But the concept wasn’t brought home until 2016, when Gorky Park in Moscow unveiled its controversial take on the traditional yolka (Russian for fir) tree for the year: suspended sideways and flanked by stone pillars. 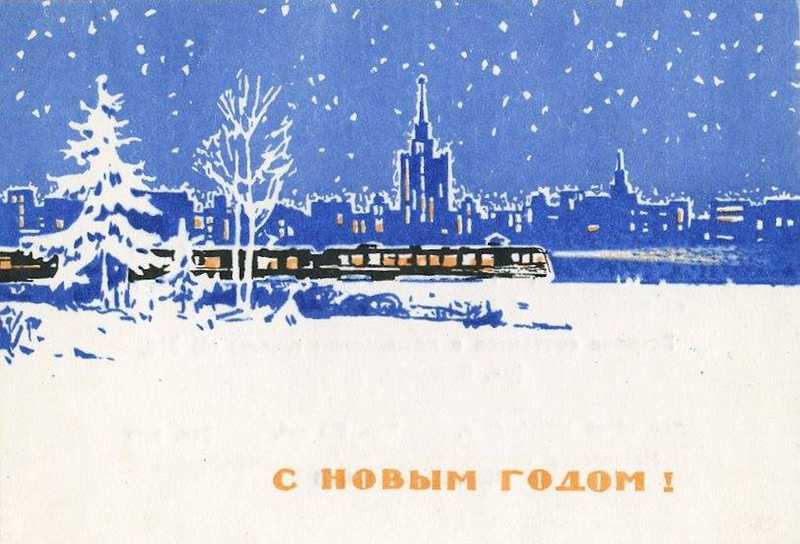 And while Turkey’s New Year tree can be attributed to the simple adoption of a selection of Western traditions, Russia’s history with it is more complex. 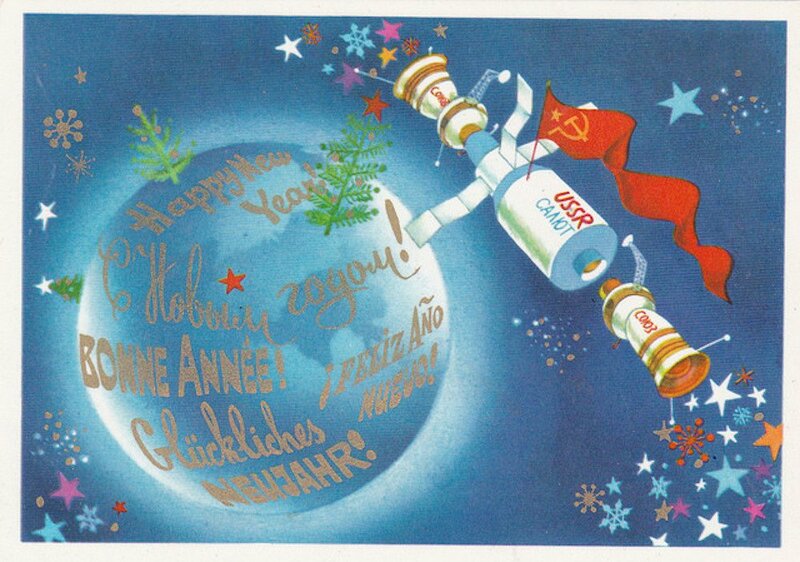 The pre-Soviet history of the yolka/Christmas tree is shared with much of Europe. It begins with a pagan tradition, possibly a “tree of life,” which came to be adorned with ribbon and candles in the dead of winter. 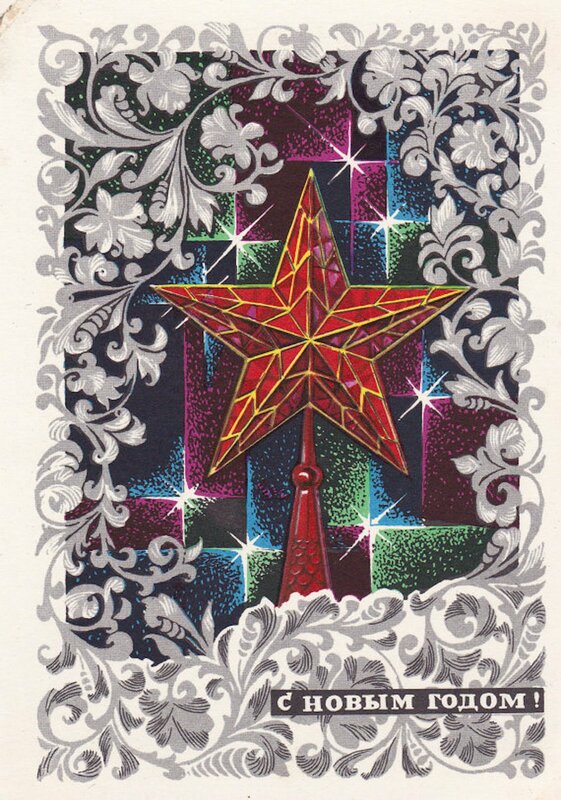 When Peter the Great announced that the New Year would be celebrated on 1 January in accordance with the Julian calendar, he also pronounced that the streets and halls of the country should be decorated with fir, pine, and juniper branches — the hardy evergreens that populated the forests. The tradition matured and was modified in innumerable ways until ornamented trees regularly stood in front of the village parish. 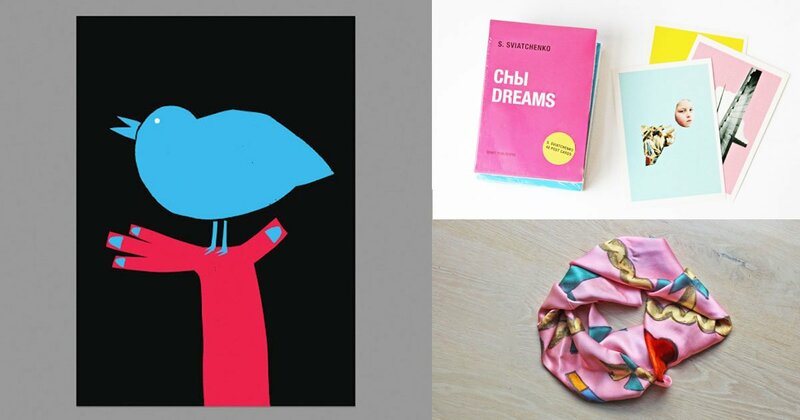 In the 19th century, Tsar Nicholas I’s Prussian wife, Alexandra Feodorovna, brought a pine tree into their home at Christmas and gifts were given to both royal and poor children. Alexandra imported many traditions from her native Darmstadt, including the tree, which marked the beginning of Christmas celebrations in the home. 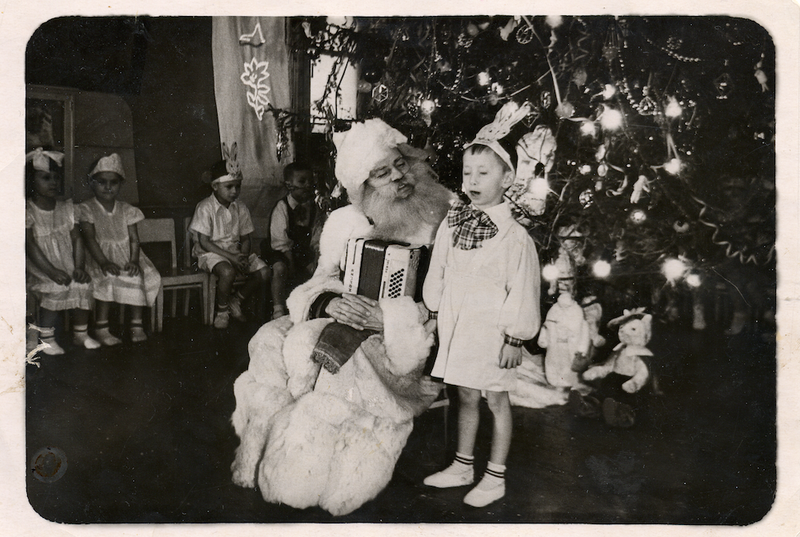 By the late 1800s, lavishly decorated yolki were central to the holiday celebrations and gift-giving to children became commonplace. Since then, the Russian fairytale figure Ded Moroz (or Grandfather Frost), has delivered the gifts with the help of his beautiful granddaughter, Snegurochka. A trio of horses pulls their sleigh to visit children across Russia and deliver the gifts in person. A little taller, cutting a finer figure, and less corpulent than his Western counterpart, Ded Moroz is a delightfully religiously ambiguous character with his roots in Slavic mythology. Most intriguingly, he lives neither in the North Pole nor any other mythical location, but in a town that actually exists: Veliky Ustyug in the northwestern Vologda region. For much of 20th century, however, Christmas disappeared from the public sphere, as state-sanctioned atheism was enforced. Christmas trees were criticised as a bourgeois tradition imported from Germany, Russia’s enemy during the First World War. Ded Moroz was exposed as a collaborator with the church and the rich peasants. Bolshevik policy aimed not only to dismantle the state church but also to convince the people of their total folly in celebrating religious holidays. Newspapers exclaimed that Christmas was based on a pagan mid-winter celebration and that the birth of Jesus had simply been confused with peasants’ sun worship. Now that the people were educated in the scientific laws of nature, it would be foolish to go on celebrating old falsehoods. Moreover, they argued, if the Virgin Mary had really lived, surely someone would have unearthed her bones by now. With religious holidays out of the public view, New Year’s Eve became the chief celebration of the year. 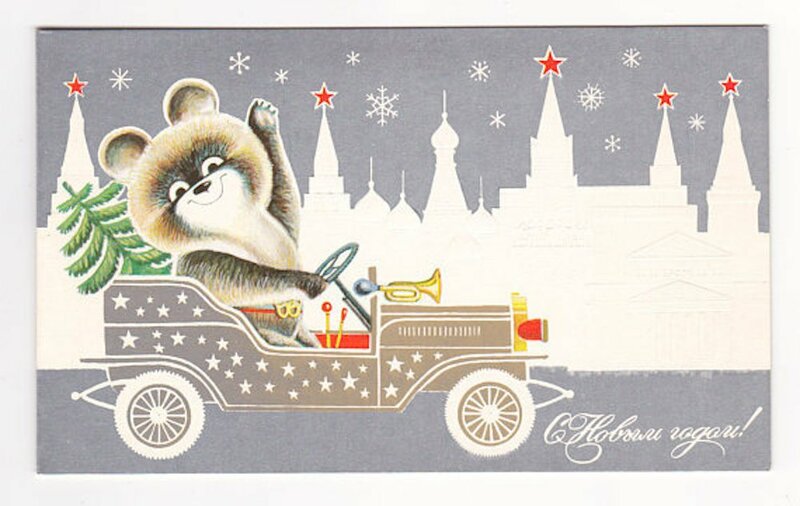 The yolka, which had been consigned to history just a few years earlier, made a comeback in 1935 when high-ranking officials convinced Joseph Stalin that the tree could be utilised for a secular holiday, as a symbol of Soviet children’s happiness and prosperity. 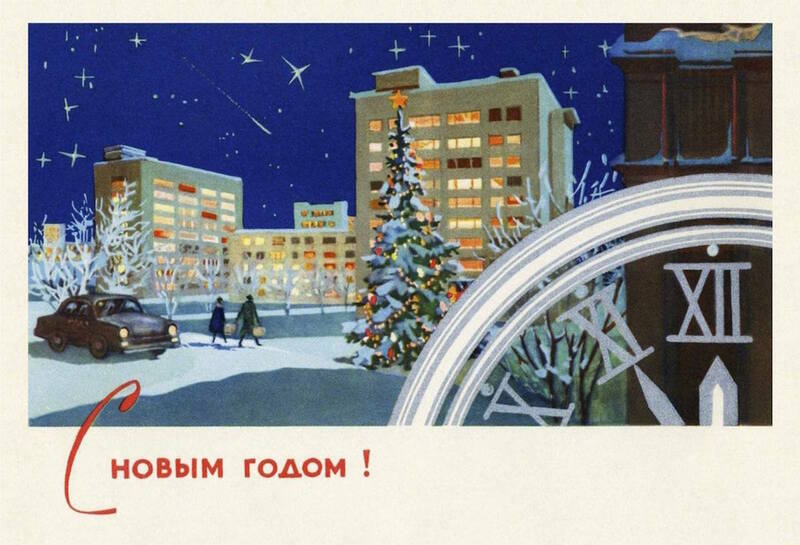 No longer would the trees grace only the halls of the wealthy — they would be made public and be adored by all Soviet children, topped with a familiar red star. The reinstatement of the tree at New Year’s was, at its heart, a ritual building project; unlike many other similar enterprises, though, it worked, perhaps because the tree was hardly a new concept — just one that had been repurposed. 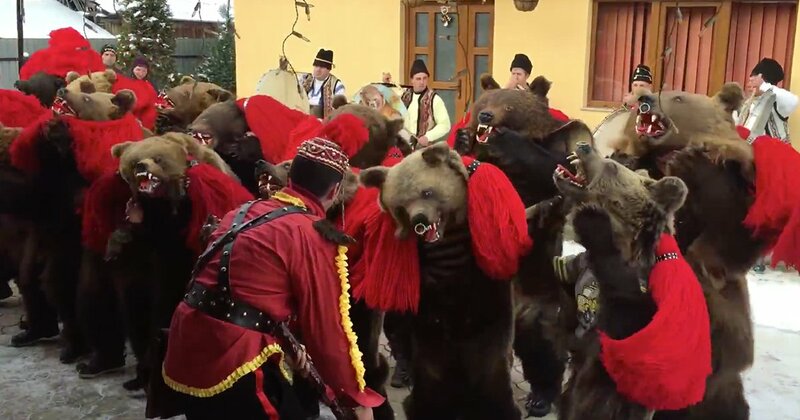 Since then, the New Year yolka, has been a symbol of hope for the coming year and public celebration, a cornerstone of community revelry that flouts religious differences and cultural divides. It occupies a particularly curious position for Russian Jewish emigrés, who will be found hauling home a tree and sparing no expense decorating it with tinsel and baubles around Christmas time. Since the yolka had long since been detached from religious holidays, there is nothing contradictory about lighting the menorah for Chanukah one day and decorating a towering fir the next. 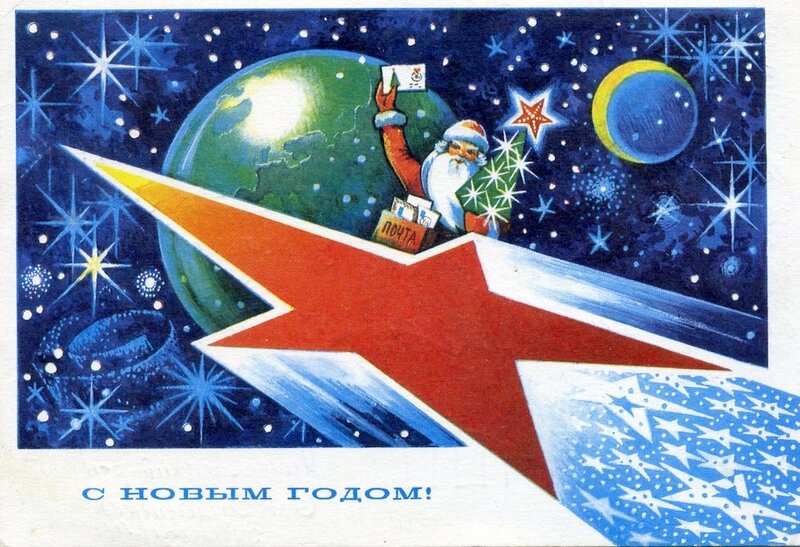 In the 1990s, even after religious holidays had been officially re-established, Veliky Ustyug began marketing itself as the home of Ded Moroz, whose Slavic roots were now being promoted by the government to push back against the encroachment of the western Santa Claus. In 1998, the mayor made it official and even set up a postal address where children can send their New Year’s requests. 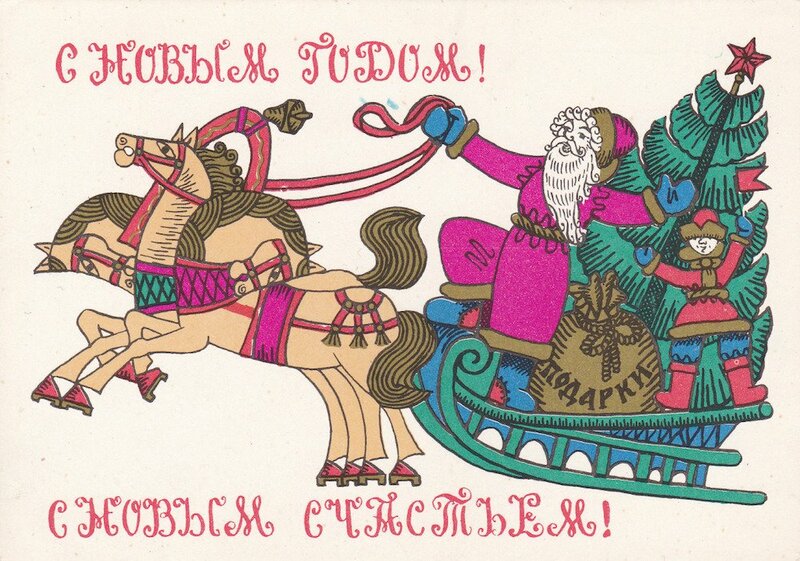 Ded Moroz was briefly considered a candidate for mascot of the 2014 Winter Olympics in Sochi. 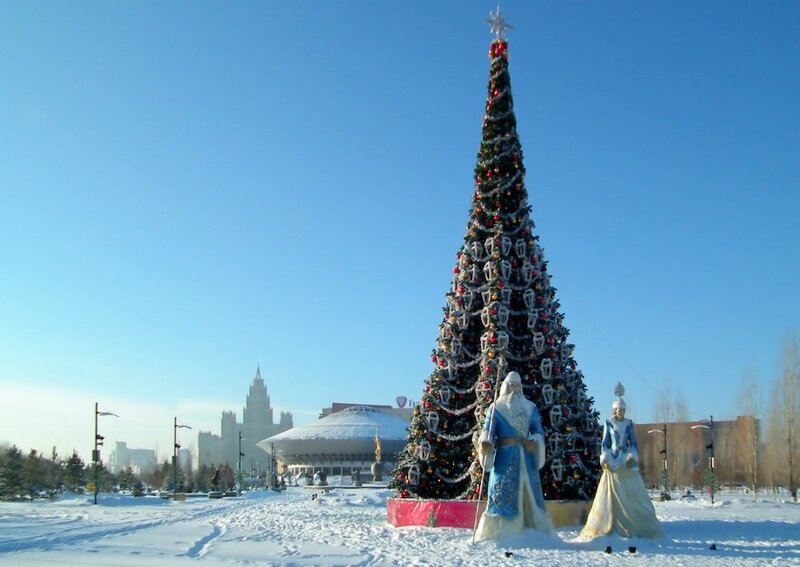 On the 26 December, the Kremlin will unveil this year’s New Year tree, rumoured to be over 27 feet tall and close to a century old. It’s perhaps fitting that the tree may well have been just a sapling when Christmas trees were first banned. Now, amid shouts of “s novym godom!” (“Happy New Year!”), it will be the centrepiece of the Kremlin’s Cathedral Square. 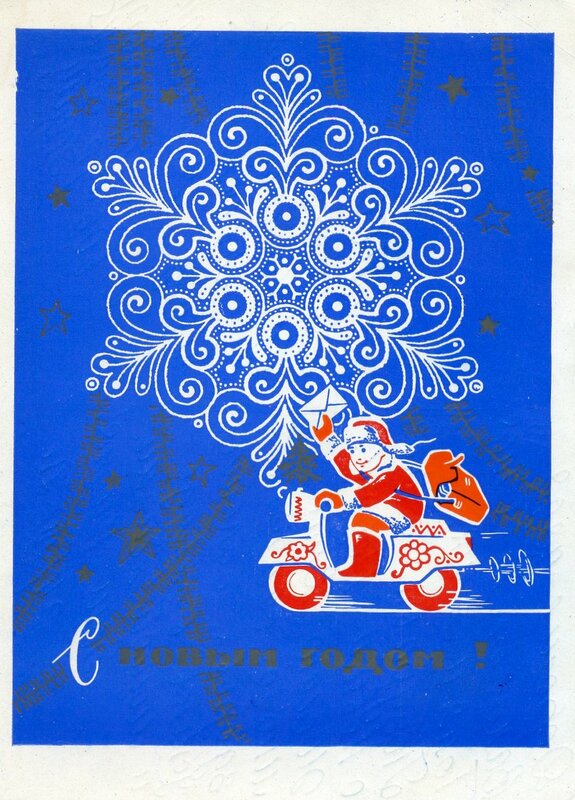 Russian business may, of course, fall for the charms of western Christmas — New Year’s celebrations (and sales) these days look increasingly similar — but the yolka remains a distinctly Soviet tradition. 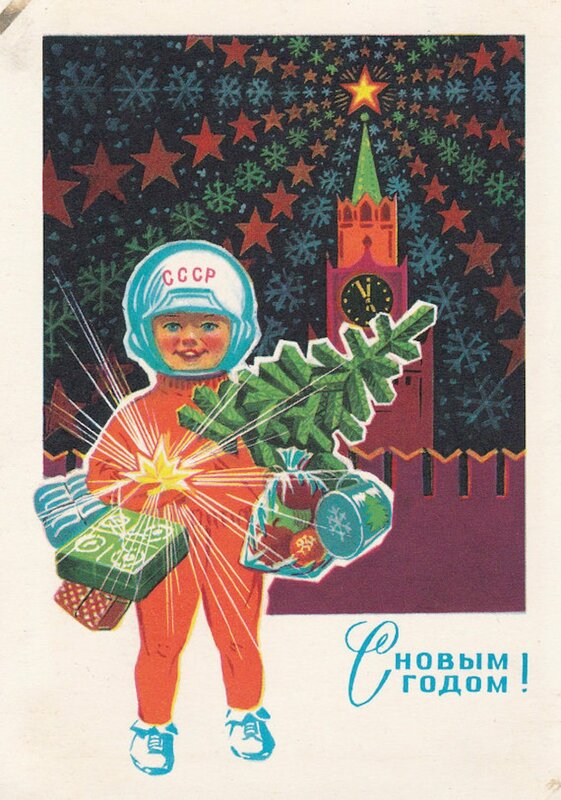 When all the caviar has been eaten and the last tangerine peel has been discarded, when the crowds fall silent to watch the last seconds of the year slip away, the New Year tree will be at the heart of the party, as much a product of a future-looking Sovietism as ever — a symbol of joy and starting over.